YESS employs a dedicated and diverse team, of which each member is wholeheartedly committed to our kids’ success. Our team welcomes your questions and comments. Contact us for any information you need! Margo brings business and marketing strategy, fund development and campaign strategy, and years of leadership and group facilitation training to YESS. 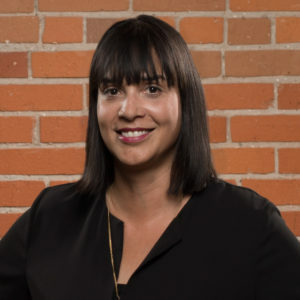 Before becoming President and CEO of YESS, Margo was a Partner and Senior Associate with Incite Marketing for ten years, where she provided strategic oversight for countless Alberta businesses and not-for-profit organizations (including YESS). Margo has a BA in Anthropology from the University of Alberta and an MA in Anthropology from the University of Calgary and loves looking at the big picture as well as improving the details. Margo paints in her free time and is most at home outside by a river. Margo serves on the board of the Mental Health Foundation and is on the steering committee for the United Way’s All In For Youth demonstration project. Robert Blackwell has over 26 years of hotel experience. He has held various hotel management positions at the Delta Winnipeg, Delta Barrington, Delta Halifax, and Delta Edmonton South hotels. Upon moving to Edmonton, Robert became very involved in the local hospitality and tourism industry. 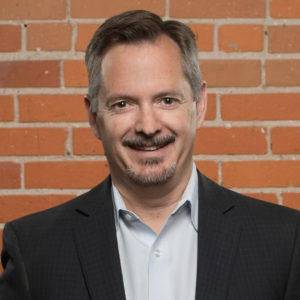 He currently serves as president of the Association of Edmonton Convention Hotels, board member of the Greater Edmonton Tourism Destination Region, and co-chair of the Tourism Partnership Council Meetings, Business, Tour and Events Committee. 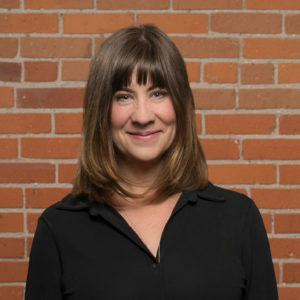 Ashley is Code and Effect’s Chief Executive Officer and company evangelist. A longtime entrepreneur, writer, and community advocate, Ashley specializes in strategic planning, operational consulting, and business development. Ashley’s superpower is creating structure in chaos which she shares through one-on-one consulting, her blog (ashleyjanssen.com) and public speaking. She volunteers for several business and community organizations in board and mentorship roles. Colin Lipsett is a member of the Real Estate Group in the Edmonton office, and his practice is focused on providing counsel to clients in the areas of real estate and environmental law. Another focus of Colin’s practice is advising conservation organizations in respect to real estate and environmental law issues, including conservation easements and federally-regulated ecological gifts of land. Steven Ewaskiw is a Senior Accountant at Yaremchuk & Annicchiarico LLP. 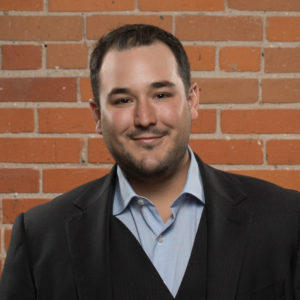 He is a graduate of the University of Alberta’s School of Business and holds a major in accounting as well as a Charted Accountant designation. Steven has volunteered as a minor hockey coach since 2003, giving him many years of experience building relationships, empowering and positively impacting young people. As the co-owner and president of MC College Group, a leader in hair and esthetics training, Joe Cairo provides energy and leadership to a growing organization that now operates three programs across seven Western Canada locations. Before becoming president of MC College, Joe obtained a Bachelor of Arts degree with a major in Political Science, and worked for six years as MC College’s Director of Operations. Joe is a socially conscience and community minded leader and avid supporter of YESS and other non-profit organizations. He also sits on the Executive Board of the National Association of Career Colleges and was previously the Chair of the Alberta Association of Career Colleges. Ayden is an advisor with Harty Investment Group at CIBC. He has a Bachelor of Commerce from Grant MacEwan University and is currently pursuing his certified investment manager designation. Ayden is very involved in the sporting community; being an avid golfer and playing football. Richard Iwaniuk, FCPA, FCA, brings enthusiasm to the finance and business operations of the Blind Enthusiasm Group of Companies… no, really. Currently, Richard supports multiple aspects of the company’s business operations, including the development and execution of key business, strategic, financial, and legal initiatives. He also does the books. Born and raised in Edmonton, Richard has lived in St. Albert since 1992. 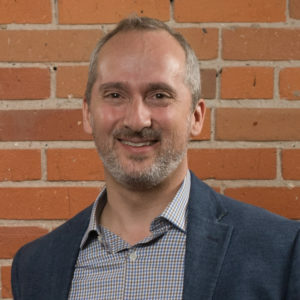 A Chartered Accountant since 1993, Richard previously worked at internationally renowned video game developer BioWare where, during his 16 year tenure, BioWare grew from a studio of 80 developers to a multi-studio operation with over 600 employees worldwide. In 2008, BioWare was acquired by Electronic Arts, Inc.
Richard is a recipient of the Fellow of Chartered Accountants, Distinguished Service Award, and the Early Achievement Award from the Chartered Professional Accountants of Alberta each of which recognize Chartered Accountants who demonstrate excellence and accomplishment in their career and commitment and excellence in community and volunteer services. Richard is the Past Chair for the St. Albert Economic Development Advisory Board. In addition to volunteering for EDAB, Richard currently volunteers for CPA Alberta, Trout Unlimited Canada, and Canadian Financial Executives Research Foundation (CFERF). Carrie Lentz is the Regional Vice President, Edmonton Strathcona for the Alberta & Northwest Territories Division at BMO Bank of Montreal. In her role, Carrie provides oversight to the activities within the personal markets in the region including the enhancement of the customer experience and in growing the business in Edmonton and area. She ensures all business operations are operating efficiently and productively while motivating her team to simplify decisions for their customers and deliver high quality products and services. Carrie came to BMO in 2014 as the Strategy Execution Advisor for the Alberta & NWT Division with considerable executive leadership coaching experience. This combined with her significant sales knowledge and strong strategic planning skills helped her to be successful in this role. Throughout her career in banking, Carrie has been a CSR, FSM, Assistant Branch Manager, Branch Manager and a Commercial Account Manager. She has also attained a Certified Human Resource Professional (CHRP) designation, a certificate in Human Resource Management from MacEwan University and is currently completing her MBA from Heriot-Watt University. In her personal life, Carrie is actively involved in the community, chairing a non-profit organization called NOAH Canada. She is also an active participant in many sponsorship, community enhancement and outreach initiatives through her roles at the Bank of Montreal. This includes being an ambassador for the United Way and for BMO’s Employee Giving campaign and by raising funds for the Kid’s Help Phone as part of the annual BMO Walk So Kids Can Talk Day. Carrie resides in Beaumont with her husband Philip, their two children, Jaxon and Jonah and they enjoys spending time as a family going camping, skiing and enjoying the outdoors! Brenda is a communications advisor and strategist who brings with her a vast repertoire of experience ranging from corporate communications and technical writing, to quarterly reporting, event planning, and more. She has a special passion for grammar, editing, and all things plain language, and is currently working towards her editorial certification. Brenda has a Bachelor of Communications, as well as a Project Management Leadership certificate. She volunteers with the Edmonton Humane Society and spends a lot of her free time working on her creative writing portfolio. Brenda believes in leadership through a values-driven approach, a philosophy that guides her through her personal life. Marcela brings with her a proven track record in leadership, project management, business planning, strategic thinking, marketing and communications. 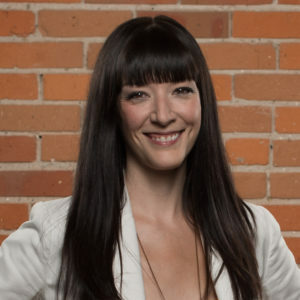 Marcela is currently the CEO and COO of the Alberta Women Entrepreneurs. Marcela has a Bachelor of Commerce as well as a Masters in Business Administration from the University of Alberta. She has volunteered and held positions on numerous boards both internationally and within the Alberta region. She has gained recognition as the Top 40 under 40 in Edmonton as well as several international awards.